The Board is responsible for formulating, reviewing and approving the Company’s strategy, budgets and corporate actions. The Company holds monthly board meetings. 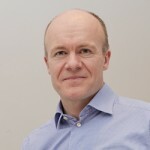 Peter is co-founder of DP Poland and has been Chief Executive since October 2010. Peter started working in Poland in 2006 when he was appointed International Marketing Director for AIM listed Coffeeheaven International, Poland’s leading coffee bar chain. Coffeeheaven was acquired by Costa Coffe in February 2010. With over twenty-five years’ experience of working with consumer brands, Peter started his career in 1984 as a graduate trainee with Unilever’s consumer research arm Research International. 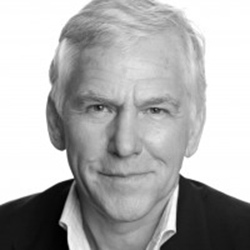 In 1987 Peter joined Saatchi and Saatchi Advertising and in 1992 joined leading innovation consultancy CLK where he helped major consumer brand owners develop their consumer offers. Peter is Executive Chairman of DP Poland’s operating company DP Polska S.A.
Maciej is a highly experienced commercial manager with significant expertise in running both start-up and established multi-site businesses. Maciej was co-founder and the Finance Director of Coffeeheaven International plc, Poland’s largest coffee bar chain. In 2007 he moved to Samsung Electronics (Poland) where he held a senior financial position. In November 2010 Maciej was appointed Managing Director of DP Polska SA, DP Poland’s wholly-owned subsidiary that operates the Domino’s Pizza Master Franchise in Poland. 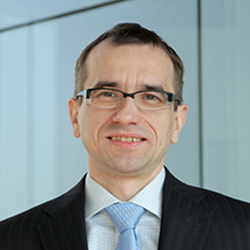 Maciej was appointed to the board of DP Poland plc in September 2012 in the role of plc Finance Director which he fulfils alongside his Managing Director role. 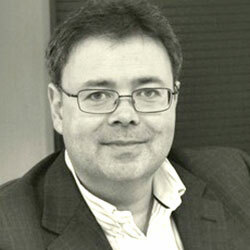 Nick, who is a barrister by profession, has worked in investment banking for over 25 years. He co-founded Capital Markets Group and is an independent director of two other listed companies: Games Workshop Group plc and Fulham Shore plc. Until 2003 Nick was Head of Corporate Finance at Arbuthnot Securities. Prior to this he was Head of Investment Banking in Europe for Robert W Baird and previously Head of Corporate Finance and M&A at Credit Lyonnais. 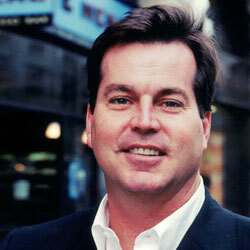 Nick was until 2007 a member of the FSA’s Listing Authority Advisory Committee, which he joined on its inception. Nick has spent the majority of his career providing strategic advice to companies on mergers & acquisitions, flotations and secondary fund raisings. 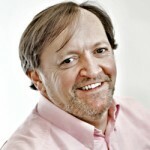 Chris was Chief Executive Officer at Domino’s Pizza UK & IRL, from December 2007 to December 2011, having joined that company in 1990 as European Marketing Manager. Chris is a recipient of the Domino’s Pizza Chairman’s Circle Award presented in July 2010 making him one of the top 15 individuals in the 50 year history of the company to receive this award. He has more than 22 years of experience working with Domino’s Pizza and was responsible for growing the number of stores from 37 to 720. Chris advises and invests in a number of other businesses in the catering and online industries. Gerry Ford is Chairman and Chief Executive of Caffe Nero Group Limited, Europe’s largest independent coffee house group. Gerry founded Caffe Nero in 1997, listed the company on the London Stock Exchange (LSE) in 2001-2007 before taking it private again. In 2005 he was named the UK’s Entrepreneur of the Year by the Financial Times and LSE. Today, Caffe Nero has more than 5,000 employees in 700 stores across 7 countries. Gerry is Chairman of the Polish subsidiary of Caffe Nero which operates approximately 30 stores. Gerry has more than 20 years’ experience of sitting on boards and nurturing small-medium sized businesses. Rob is a Chartered Accountant and has considerable experience at board level in small and medium sized businesses. He was previously a non-executive director of coffeeheaven international plc, group finance director of Supreme Petfoods Limited and was the Chief Financial Officer of Lookfantastic.com, an online beauty product retailer and hair salon business. Rob has introduced and developed financial, costing and reporting systems for a diverse range of businesses and has considerable practical experience in treasury, taxation and company secretarial matters. As well as supporting the Board in his role as Company Secretary, Patrick manages the day-to-day finance function of the plc, including the preparation of the monthly UK management accounts and the interim and full year Group Accounts. 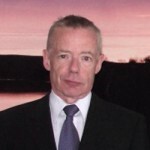 Patrick is a Chartered Certified Accountant with over 20 years accounting and taxation experience and was part of the Coffeeheaven International team. He has been preparing published accounts for AIM listed companies since 1997. Patrick is not a Director of the Company.